Rare shy 5 acre light indust. parcel w/City of Bellingham services but positioned in County so NO B&O tax (best of both worlds). 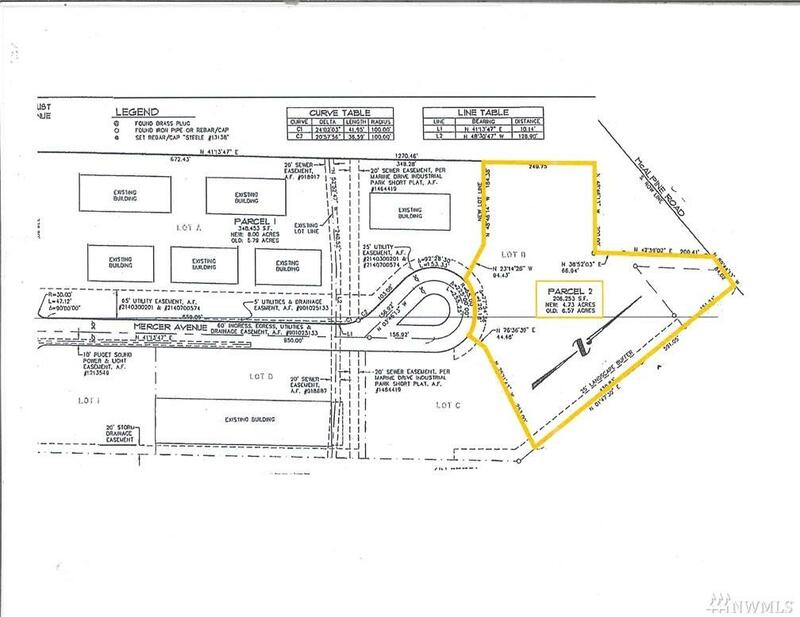 Located off Marine Dr. in established & desirable Industrial Park. 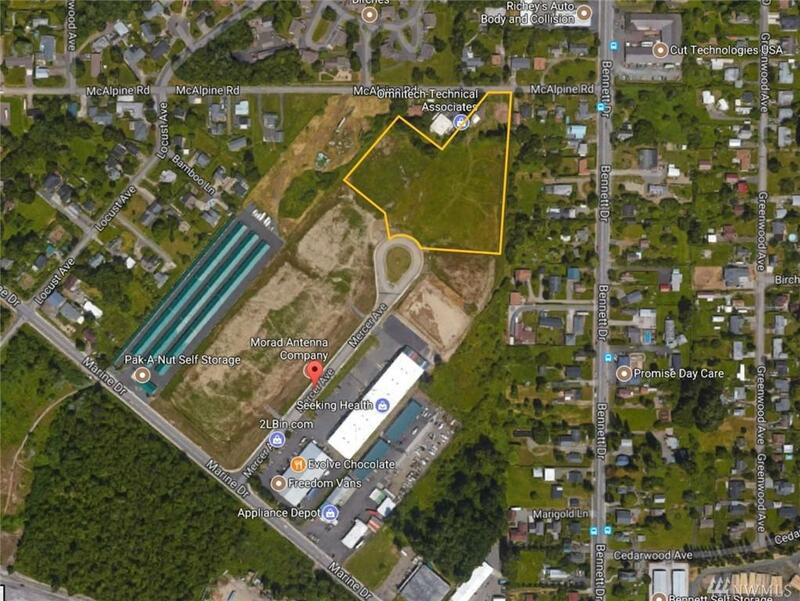 Minutes to I-5 & Airport & situated on elevated parcel w/sweeping views for future office etc. Great statement property for company headquarters etc. Existing Marine Drive Industrial Park bldgs. house vibrant start-up & expanding long established business tenants. Storm water detention pond completed.